Supplied: In a three litre containers of peat-free compost, healthy and well established, approximately 40-60cm (2 feet) high, with full planting and aftercare instructions. Any garden, regardless of size, needs an anchor, often this is achieved with evergreens. They provide permanence and colour year round and a focus around which the other plants can be arranged, and often, in the dead of winter, they alone provide interest. 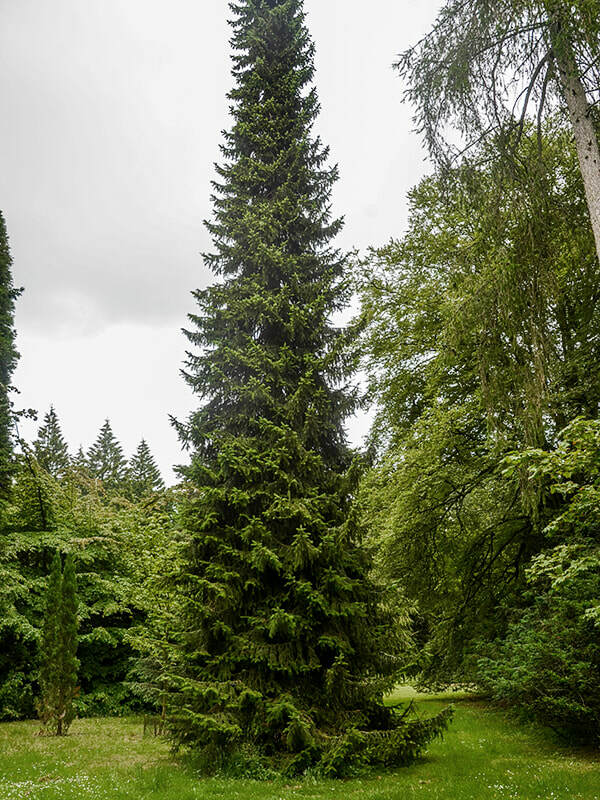 If you’re looking for such a garden essential and would like something not quite as commonplace, then one excellent candidate would be the Serbian spruce, or Picea omorika. First introduced to Britain and Ireland in the 1880’s, its natural range is quite restricted but owing to its beauty it can now be found over much of the temperate world. The needles have white bands underneath which lends a silvery bloom to the tree and being only an inch long, the foliage is very fine textured. It is the strong vertical form of the Serbian spruce however that is so striking. In the same way that church spires dot old villages, a cluster of Serbian spruces reach skyward. Most beautifully of all, the short branches extend out and down from the trunk before sweeping back up at their tips. The overall effect is quite elegant and renders the Serbian spruce one of the most attractive of all spruces. The short, graceful branches are retained to ground level for years, meaning the Serbian spruce is not only attractive but highly effective as a screen. These trees work well grouped or as single specimens though nothing could beat a long line of them running along a boundary. Serbian spruce produces attractive cones as well: dark purple when young and two inches long. The trunk grows straight and requires no pruning or maintenance to keep the slender and graceful silhouette. It can tolerate full sun and shade from high trees, as well as various soils provided they are well drained.